If you love money, this is the wallet for you. 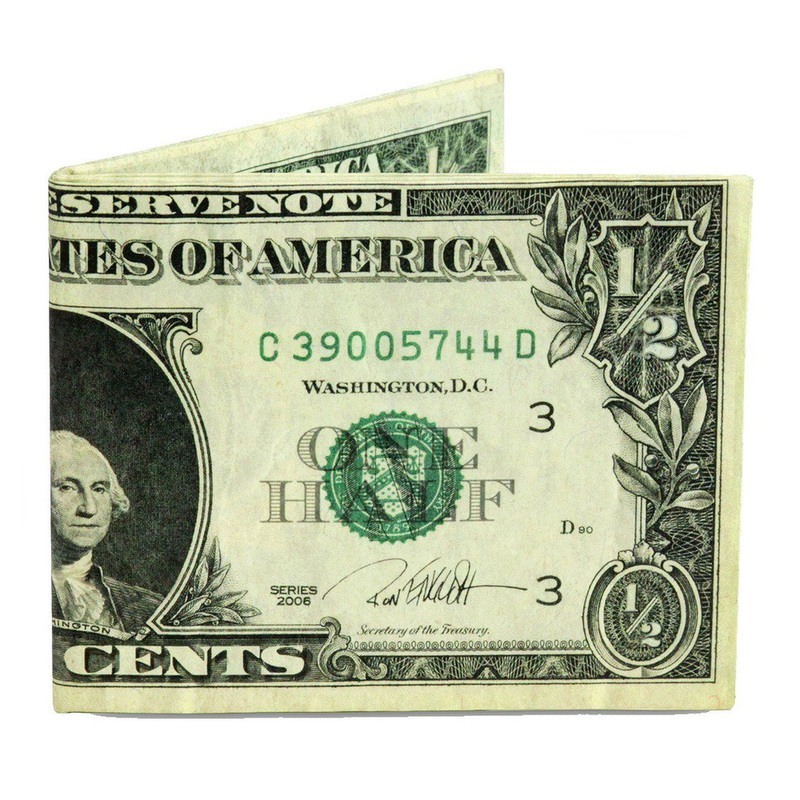 Whether you are wealthy beyond reason and want to show the world who is bringing home the bacon, or whether you just want to feel like you are, this wallet will be sure to make you feel a half dollar richer! Made of 100% high density polyethylene, this wallet is extremely strong and durable. 4 inches high and 3.5 inches wide (when folded closed), it is roomy enough to hold cash, credit cards, identification and any other essential items that you need throughout the day or night. Did we mention that it is also tear-resistant, water-resistant, expandable and recyclable? This mighty wallet certainly lives up to it’s name and is sure to be the perfect gift for the person who is ready to attract wealth.